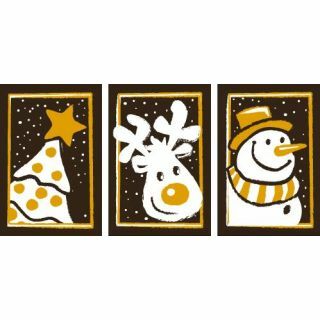 Use chocolate transfer sheets to create wonderful chocolate labels to decorate cakes, pastries, ice cream, gelato and other desserts. Transfer sheets are easy to use and they will give a finer look to your desserts. Our chocolate transfer sheets are made with pure cocoa butter. We use thin acetate plastic film on which we print edible coloring designs made from cocoa butter and FDA-approved food coloring. Our transfer sheets are made manually in an artisan way. We have developed our own printing method which resulted in very precise printed designs and denser colors. Label's dimensions: 27 x 40 mm (1" x 1,57"). Sheet dimensions: 152 x 424 mm (6" x 16,63"). Use this transfer with Stencil ACCH001. Place the transfer sheet, coloring facing up, on your work station. Place the stencil on the transfer sheet by carefully centering the designs in the stencil's cavities. Spread the melted chocolate over the stencil by making sure that the cavities are filled approprately. Smooth out the stencil with a wide spatula to remove the excess of chocolate. Let it cool down until the chocolate gets firm and then you can remove the stencil. Let the chocolate on the transfer cool down until it hardens (24 hours at room temperature OR 20 minutes in refrigerator). When chocolate is hard, peel off the transfer sheet and the design will remain on the chocolate.